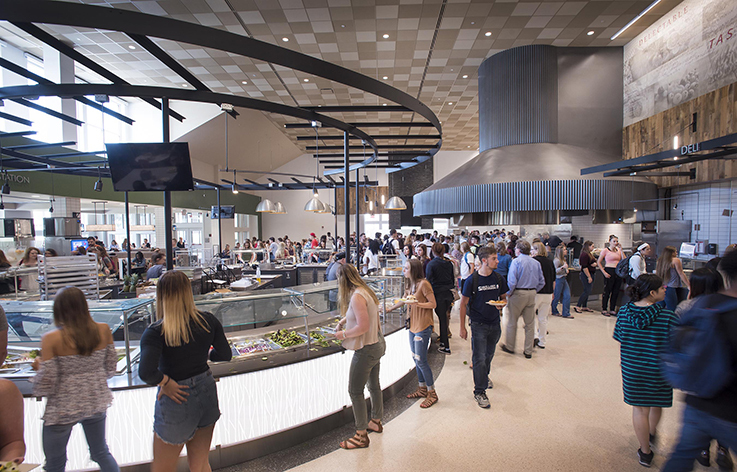 Indiana University of Pennsylvania’s North Dining facility won the 2018 Best of Education design award from the Pennsylvania/New Jersey/Delaware International Interior Design Association. North Dining is the third and final phase of IUP’s $37-million Dining Innovations program. It opened in August 2017. The building was submitted for the competition by Stantec, the building’s design firm. Photos of the building were on display at the Franklin Institute Gallery in Philadelphia in June as part of the competition. The $17-million facility offers seating for about 600 people, and includes gathering space and the IUP Dining central offices. It has a global cuisine station, an open pit grill, a deli station, a vegan and vegetarian station, and a bakery and dessert station with homemade gelato and crepes. 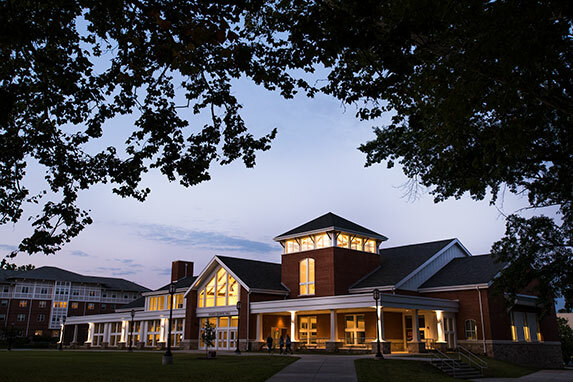 The first two phases of Dining Innovations are a $13.75-million renovated Folger Dining Hall, opened in October 2015, and the $6.5-million Crimson Café, opened in August 2014. Dining revenues funded the renovation and construction of the three facilities that are part of the Dining Innovations Plan.